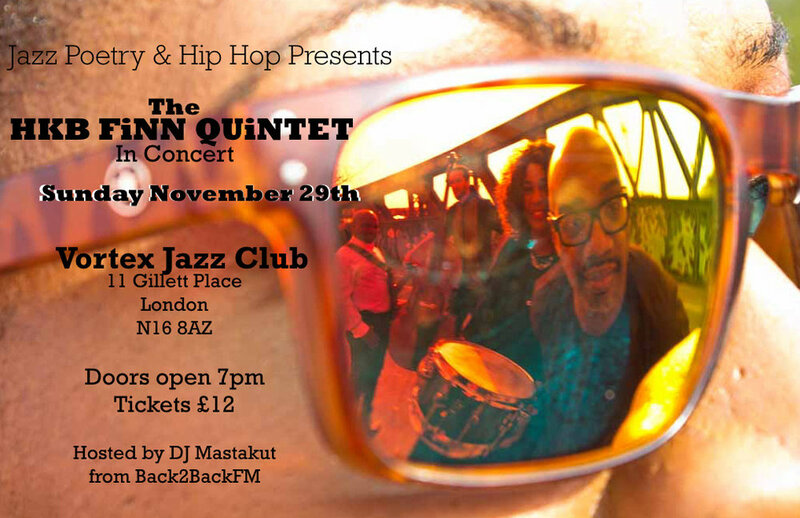 Sunday November 29th catch the HKB FiNN QUiNTET in concert at The Vortex Jazz Club, 11 Gillett Place, London N16 8AZ from 7pm - 11pm. There will also be a few surprise musical guests & the band will perform 2 sets on the night (1st Set: AMPLiFiER - Spoken Word Opera / 2nd Set URBAN ROOTS LiVE). Tickets are £12 on the door but £10 in advance.